Vasily Petrenko has released the second disc in his complete cycle of Shostakovich's symphonies with the Royal Liverpool Philharmonic Orchestra (RLPO). In 2007 he was appointed as principal conductor with the Royal Liverpool Philharmonic Orchestra (RLPO), the youngest conductor ever to have taken the post, and he has been so successful in revitalising the orchestra that they have extended his contract to 2015. He is currently recording a cycle of Shostakovich’s complete symphonies for Naxos; the first two releases have been released to great acclaim. As well as his interest in music, and particularly the Russian repertoire, he is also a keen follower of Liverpool football club. Lively performances by the RLPO interpreted by the acclaimed young Russian conductor Vasily Petrenko - recommended. 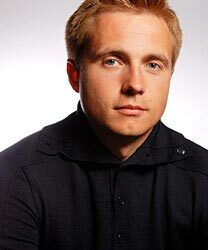 Royal Liverpool Philharmonic Orchestra, conducted by Vasily Petrenko. The first outstanding release in Vasily Petrenko's cycle of Shostakovich's complete symphonies.